Oils are an important ingredient in our daily food consumption. Especially, in the Indian states, oils form an essential commodity while preparing many food items. Cooking oils can affect various health aspects like maintaining cholesterol level, skin health, maintaining sugar level in the blood etc. So, choosing bad cooking oil can adversely affect your overall well-being. A good cooking oil not only adds taste but also defines the nutritional value of the item. Talking about choosing good cooking oil, there are many refined oils available in the market today, promising various health benefits; one such oil is the Rice Bran Oil. A relatively new member in the vast family of refined oils, Rice Bran oil is gaining popularity due to its various health benefits. Before we discuss the benefits of using Refined Rice Bran oil, let’s first understand what rice bran oil is made of. Rice Bran oil is extracted from the outer husk of the rice grain called chaff (Rice Bran). Rice Bran refers to the thin coating of the rice kernel removed during the process of milling. It has a high smoking point and is neutral in taste making it suitable for many cooking applications. Rice bran oil contains many useful components like Vitamin E, tocopherols and tocotrienols, an antioxidant known as oryzanol, high quantities of phytosterols, polyphenols etc. Now let’s discuss the benefits of using Rice Bran Oil, and why you should include it in your diet. Rice Bran Oil contains an optimum amount of oryzanol, an antioxidant, which helps you maintain a healthy cholesterol level in the body. Rice Bran oil has a perfectly balanced amount of polyunsaturated, monounsaturated and saturated fats when compared to other vegetable oils. It has 37:38:25 ratio of polyunsaturated fats: Monounsaturated fats: Saturated fats respectively. Since India is a country prone to heart diseases, making rice bran oil a part of your daily diet can help you eliminate various cardiovascular diseases. The rice bran oil has mild or neutral taste making it versatile for many Indian foods. Its taste doesn’t clash with your desired taste and is suitable for preparing many food items. You can use it for stir-frying, sauteing and grilling. It may add a mild nutty flavour, but otherwise it has a light taste and clear texture. Rice Bran oil helps you maintain cholesterol level in the body and can help you in reducing your weight. 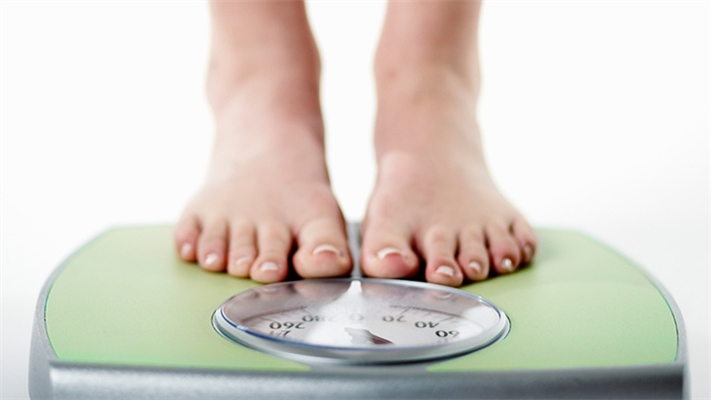 The presence of unique antioxidant called oryzanol increases metabolism, further aiding your weight loss programme. Presence of Squalene in the rice bran oil helps you keep your skin soft and smooth and even helps delay aging of skin. It evens out the skin tone and reduces dark spots and even the dark circles around the eyes. The moisturizing properties of the oil helps treat dry skin and eczema. The oil contains oleic acid and linoleic acid in the perfect amount and can help you treat acne. Rice bran oil also helps you to fight other skin problems like dermatitis, rosacea and rashes. Indians love fried food items and rice bran oils form a perfect combination to deep fry your products. It has a high smoking point of around 250℃ or 490F, which helps in maintaining its nutritional value even at high temperatures. Rice Bran oil contains a carbohydrate compound called inositol, which boosts hair growth, reduces dandruff and split ends. It contains the omega fatty acids which prevents the premature greying of hair. 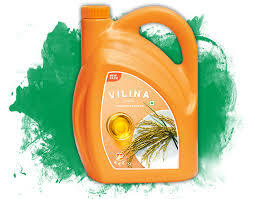 Rice bran oil is rich in Vitamin E (Alpha Tocopherol). Vitamin E is an essential component in maintaining skin health, boosts immunity, promotes heart health, fights the symptoms of arthritis, promotes eye health and lowers the risk of cancer. Daily intake of Rice Bran oil can help you maintain a healthy percentage of Vitamin E in your body, deficiency of which can cause vision problems, muscle weakness and poor transmission of nerve impulse in the central nervous system. Rice bran oil possesses strong anti-inflammatory properties and its daily consumption can reduce the effects of menopause like hot flashes. The above-mentioned benefits show us that Rice Bran Oil can positively impact your health. You need to find different ways and try to include this oil in your daily diet.